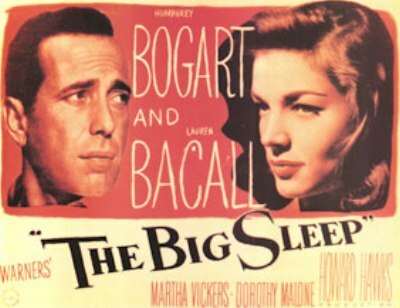 The Big Sleep, the quintessential film noir, was released in 1946, though a preview version from 1945 still exists. The film stars Humphrey Bogart and Lauren Bacall; they first appeared together in To Have & Have Not, also directed by Hawks. The supporting cast includes Elisha Cook, who previously appeared with Bogart in The Maltese Falcon. Bogart and Bacall were married soon after filming The Big Sleep, and it was Bacall's agent who asked the producer to shoot several alternate scenes for the 1946 version. The most apparent consequence of the re-shoots is that the relationship between Bogart and Bacall is intensified. They have two scenes together, in a restaurant and in Bacall's bedroom, which were filmed especially for the 1946 version. The dialogue in these scenes includes most of the innuendoes for which the film has become famous. A sequence in which Bacall's sister attempts to seduce Bogart was also added, and the scene in which Bacall helps Bogart escape was re-shot. The 1945 version contains two expositional sequences which were subsequently removed: Bogart meeting the District Attorney, and a veiled Bacall visiting Bogart's office. The plot is equally complex and incomprehensible in both versions, though in the 1946 version this is less noticeable because the mystery is overshadowed by the romance between Bogart and Bacall. In the 1945 version, the romance is less developed, leaving the whodunnit narrative as the main focus, and therefore the convoluted exposition is more distracting. 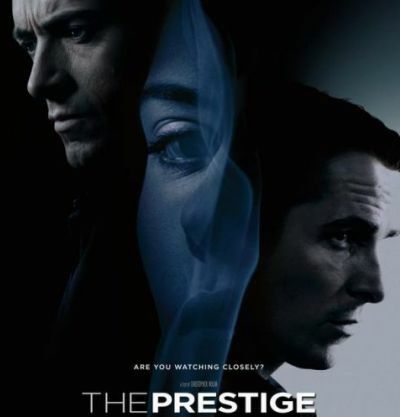 The Prestige was directed by Christopher Nolan (who made Memento). It stars Hugh Jackman and Christian Bale as rival magicians in Victorian London; the supporting cast includes Michael Caine and Scarlett Johansson. Bale and Caine both previously appeared in Nolan's Batman Begins and The Dark Knight. Jackman and Johansson previously co-starred in Woody Allen's Scoop. The two magicians are inspired by the electrical experiments of an eccentric inventor, played by David Bowie in an enjoyable cameo. At that time, discoveries such as radio waves and electromagnetism were so unprecedented that they were indeed described in paranormal terms and employed in illusions, as Marina Warner discusses in her book Phantasmagoria. The Thai Film Archive (in Salaya, near Bangkok) will screen Apichatpong Weerasethakul's short film A Letter To Uncle Boonmee this Saturday, to celebrate Apichatpong's new film Uncle Boonmee Who Can Recall His Past Lives winning the Palme d'Or at Cannes this year. Both films are part of an installation titled Primitive, alongside the short film Phantoms Of Nabua. Uncle Boonmee Who Can Recall His Past Lives will have a press screening in Bangkok next Friday. 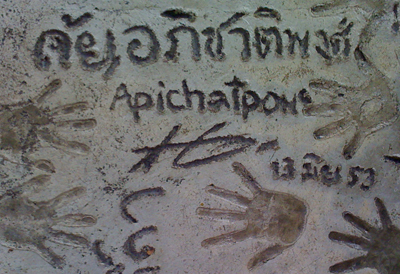 Apichatpong gave press interviews at the Thai Film Archive on Tuesday; his short films Luminous People and Morakot were screened there in 2008, and his feature-length Tropical Malady was shown there last year. South Africa's High Court in Johannesburg has declared that the apartheid-era song Ayesab' Amagwala is illegal, and that singing the song is therefore against the law. The song's most famous phrase, "dubul' ibhunu", calls for the shooting of white farmers and has become an anthem among young ANC members. The High Court ruling follows a civil case against prominent ANC member Julius Malema, who has repeatedly performed the song in public. 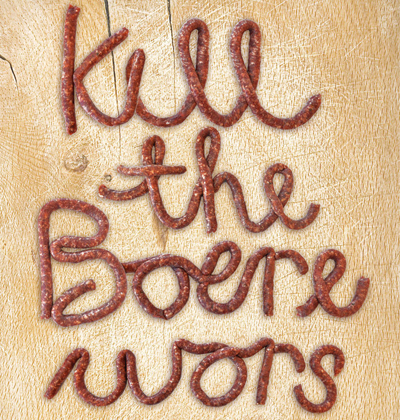 Tara Butchery in Cape Town capitalised on the controversy with a poster announcing "Kill the boerewors", written with sausage meat. 'Boerewor' describes a variety of traditional sausage, though the slogan is also a pun on 'kill the boer', an English translation of "dubul' ibhunu". 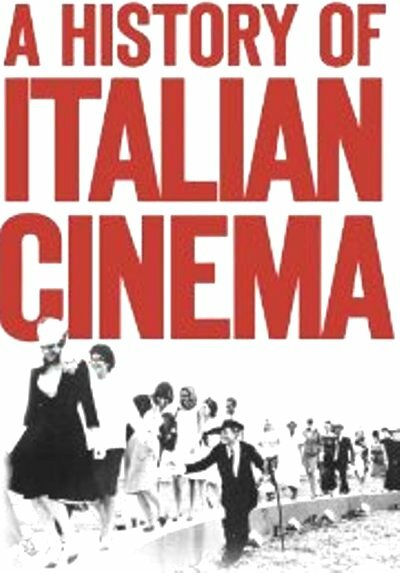 A History Of Italian Cinema is the fourth edition of Peter Bondanella's Italian Cinema: From Neo-Realism To The Present. Bondanella's new chapters on individual genres, including Peplums, Gialli, and Poliziotteschi, are the book's most welcome additions, giving influential exploitation directors such as Mario Bava (dismissed in a single sentence in previous editions) the recognition they deserve. Godzilla, directed by Ishiro Honda, inspired more than twenty Japanese sequels over a period of fifty years, and a disastrous Hollywood remake. The original version, in which a fire-breathing, amphibious dinosaur destroys Tokyo, is one of the greatest of all monster films (a genre known as Kaiju-Eiga in Japan), though it was re-edited for the American market (with new expositional scenes featuring Raymond Burr). 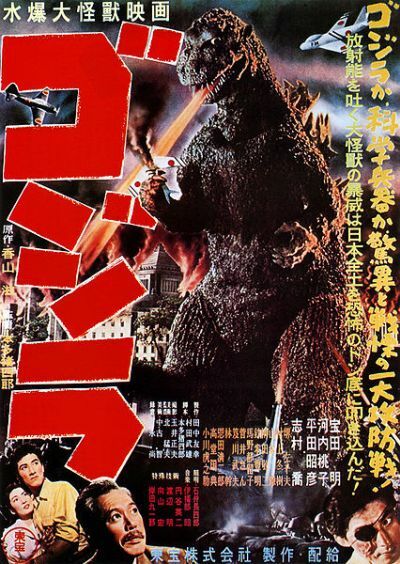 The central plot was adapted from The Beast From 20,000 Fathoms, though Godzilla's special effects are more basic: a man in a suit crushing miniature buildings. Conveniently, Godzilla is a nocturnal creature, with the darkness helping to camouflage some of the more crude effects. The night scenes are highly atmospheric, however, and add to the film's sombre tone. King Kong is another substantial influence, with Godzilla and Kong having equally tragic endings. As in many other (primarily American) cryptozoological science-fiction films of the 1950s, Godzilla is a metaphor for the dangers of nuclear weapons, with the monster disturbed by atomic bomb tests in the Pacific Ocean. Godzilla is less sensationalist than its American equivalents, though, and is surprisingly bleak, with an explicit final warning: "if we continue conducting nuclear tests, it's possible that another Godzilla might appear somewhere in the world again". 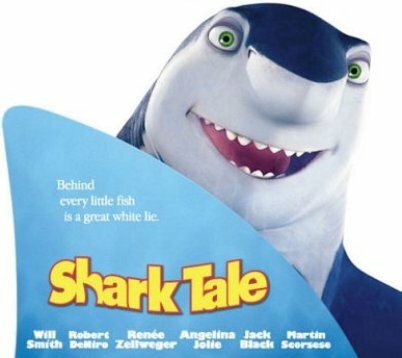 Shark Tale, directed by Bibo Bergeron and Vicky Jenson for Dreamworks SKG, includes vocal performances by Robert de Niro and Martin Scorsese. Scorsese, playing Sykes, is the second major director to appear in a Dreamworks animation, after Woody Allen starred in Antz; de Niro, as Don Lino, spoofs his Godfather character Don Vito. 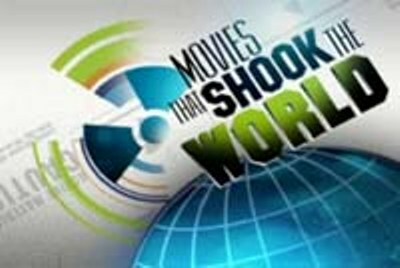 Like Antz and Shrek, Shark Tale is crammed with jokes, but surely most of them went over the heads of the target audience. 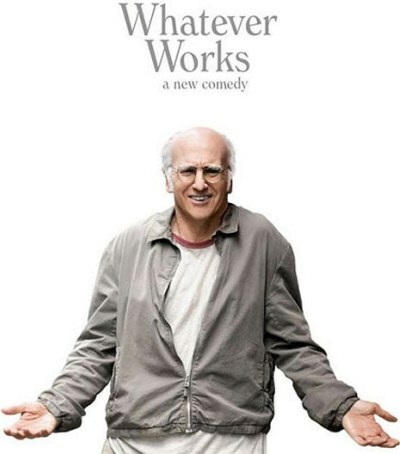 In Woody Allen's Whatever Works, Larry David plays a cross between his Curb Your Enthusiasm character (ranting monologues) and Allen himself (existential angst). The relationships become more complex and less interesting, and Allen's traditional creepy age-gap between the central couple has returned. Allen is back in New York after Barcelona (Vicky Cristina Barcelona) and London (Match Point, Scoop, and Cassandra's Dream), though he forgot to include any jokes. 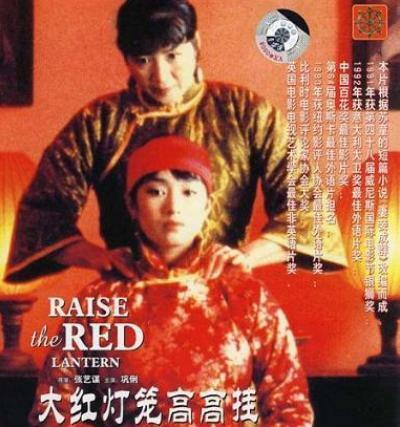 Raise The Red Lantern, directed by Zhang Yimou, stars Gong Li as Songlian, a teenager who becomes the fourth wife (essentially a concubine) of a wealthy aristocrat. Her husband's face is rarely seen, as the film concentrates instead on the relationships between his four wives. Each wife has her own maid and living quarters within the husband's palatial home, though the wives are constant rivals as they must compete for their husband's affections. Each night, he selects a different wife to sleep with, his choice signified by the lighting of red lanterns in the living quarters of the chosen wife. The older first wife is a matriarchal figure for the other three. The second wife is initially friendly towards Songlian, though the spoiled third wife is jealous at being usurped by Songlian's arrival. Later, it transpires that the third wife is a sad and ultimately tragic figure, and the second wife is memorably described as having "the face of the Buddha but the heart of a scorpion". We sympathise with Songlian, forced to become a concubine after the death of her father, though her callous treatment of her maid is uncharacteristic. Her maid, who dreams of becoming the fifth wife, is also broadly sympathetic, her insubordination arguably excused by Songlian's attitude towards her. The film has striking similarities with Curse Of The Golden Flower, also directed by Zhang Yimou. In both films, Gong Li plays a wife trapped in a gilded cage, constrained by the rituals and protocols of daily life. Raise The Red Lantern and the director's visually stunning later film Hero both share a bold colour palette, with each sequence dominated by a single colour: in Red Lantern, the bright red of the illuminated interiors is contrasted with the cold blue of the exteriors. Hero emphasised style over content, and Golden Flower was excessively opulent, though Red Lantern perfectly combines profound drama with understated cinematography and expressive lighting. Red Lantern has been interpreted as a commentary on Communist suppression, though the director (probably because he is now a government propagandist, having directed the Beijing Olympics opening ceremony) refutes this analysis. If the husband's home is seen as a microcosm of Chinese society, the restriction on freedom and punishment of dissent endured by the four wives could be metaphors for state control, and the film was indeed banned in mainland China. Ironically, the film's international success, and the historical exoticism in the director's subsequent work, have become major Chinese artistic exports. 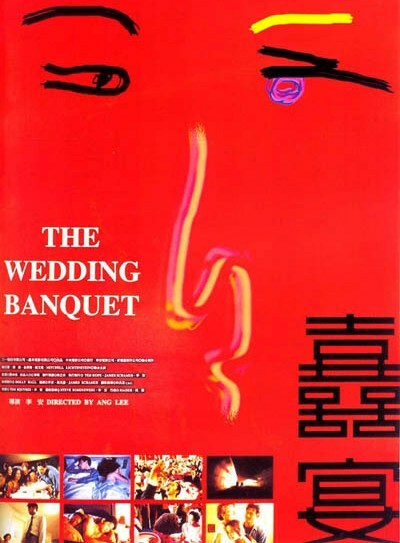 The Wedding Banquet stars Winston Chao as Wai-Tung, a Taiwanese businessman living in New York. Mitchell Lichtenstein (director of Teeth) plays Simon, Wai-Tung's American boyfriend. Wai-Tung's parents are eager for him to get married, and when they come to visit him in New York he has to pretend that he is not gay. The plot now seems overly familiar, and La Cage Aux Folles (remade as The Birdcage) is a superior treatment of a similar scenario. The cross-cultural problems of immigrant life are not explored, though the film is a commentary on the tension between traditional expectations and contemporary realities. Much of this tension is played for laughs, though the final reel is more subdued. The director has a cameo as one of the guests at the wedding banquet. This is Ang Lee's second film set in New York, after his debut Pushing Hands. It was followed by Eat Drink Man Woman, filmed in Taiwan, though most of his subsequent films have been Hollywood productions. Alongside Tsai Ming-Liang, he was part of a second wave of Taiwanese directors to emerge in the early 1990s, after the initial Taiwanese New Wave led by Hou Hsiao-Hsien and Edward Yang. His work has occasionally attracted controversy, notably the sexually explicit Lust, Caution and the (arguably over-rated) gay western Brokeback Mountain. His influential martial-arts film Crouching Tiger, Hidden Dragon was the most successful foreign-language film ever released in America and the UK, and is one of my ten favourite films of the decade.